Hope you had a great week! This week was officially fall - and the weather definitely felt like it. I am slowly transitioning into fall clothes - so I thought I would do a round up of 10 fall essentials. I want to buy this fuzzy cardigan. 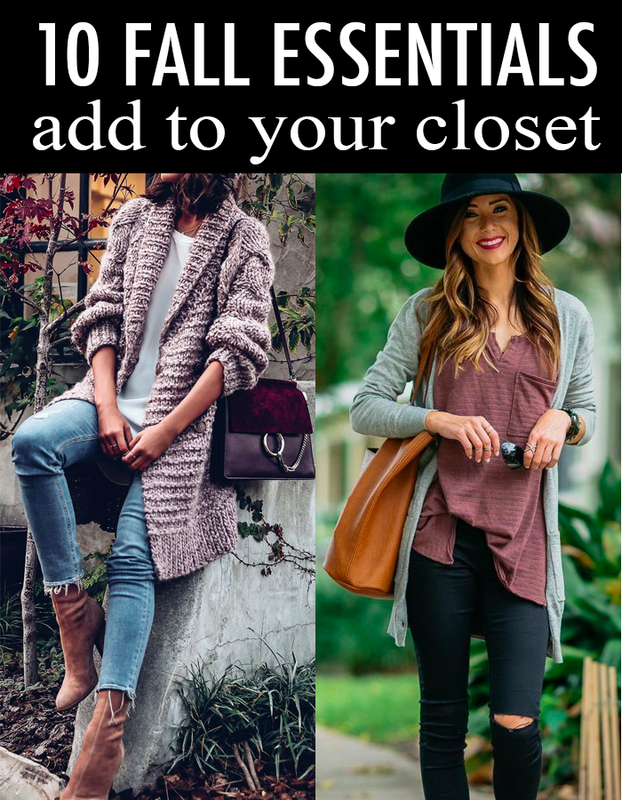 This cardigan is also a great staple that is 30% off. These cute suede ankle booties come in 4 colors and are 50% off! This leopard sweater that is a great buy! A fun suede jacket like this one that is 40% off. This plaid shirt is always a fall essential -and it's 30% off. This great transitional sweater for only $13. This classic plaid scarf that is only $24! The perfect fall hat that is under $40. These popular watches are on sale, which rarely happens. This pretty floral top that is only $18 - would look great styled with tall suede boots, like these. Just in case you missed it - I shared my picks for fall items that rarely go on sale - but are - and the sale ends tomorrow - so be sure to check them out HERE. Source 1 / 2 // I am participating in the following link-ups. I want that cardigan too!! Happy Friday beauty..fabulous Fall must haves! I love that floral top from H&M and can totally see it the way you suggested styling it - tall suede boots would be fabulous with it! I wish I could pull off hats like that!